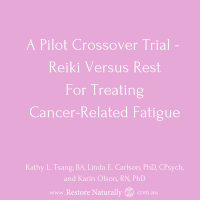 Yes, it’s fine to fall asleep when receiving Reiki or doing Reiki on yourself because true recovery and healing takes place when you’re relaxed. During a Reiki session, sleep is an indication that you are able to let go of your mind and body and experience deep relaxation. 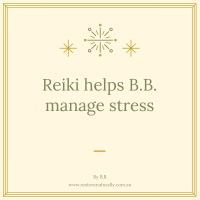 If you are receiving Reiki to help you feel calmer and happier, or as extra support during physical illness or injury, you have a much better chance of regaining health and balance once you relax. 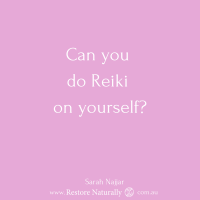 Reiki activates your parasympathetic nervous system (the system responsible for inducing the relaxation response), making it easier for you to manage challenging mental and emotional states and recover from illness or injury. If you have learnt Reiki, yes it’s fine to fall asleep when you are doing self treatments. Self Reiki practice is also excellent if you have difficultly falling asleep at night or experience wakeful sleep. Many who use Reiki in this way experience deeper, uninterrupted sleep. 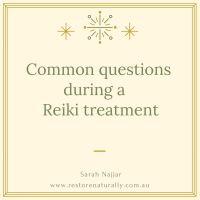 Also, similar to some meditation practice you can also use your Reiki treatments and self Reiki practice as a method for “waking up” to unhelpful thought and behavioural patterns. You can develop greater self awareness and concentration. Where does your mind wander to as you do Reiki? What thoughts and feelings arise? How do certain parts of your body feel? Practice noticing whatever thoughts and emotions you experience without judgement and then let them go. 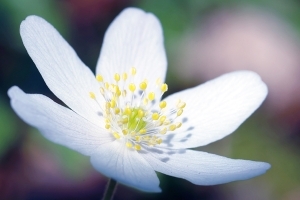 Staying awake during Reiki sessions or falling asleep are both valid approaches to Reiki practise. Reiki meets whatever need you have on the day.